"But do you feel more like a company or more like a family?". The the three men I have in front of me respond in unison and in a single voice: "More a family!". The three (protagonisti di questa chiacchierata per la FreeTime magazine) by name are: Giuseppe, Giorgio and Gian Luca. Three Gs in the name and one Z in the surname, that of Zaccaria. Their Modican company (pardon, their family) is one of the best known, in Ragusa and in Sicily, in the field of construction. A business cconstructed - and it is correct to say: brick by brick - from way back in 1974, when the then 20 year old Giuseppe Zaccaria founded his small business and with a dozen workers jumped into the construction and carpentry market: "I immediately chose to work beyond Modica as well, looking to grow and gain experience in the mountain areas of Ferla and Cassero", he said. 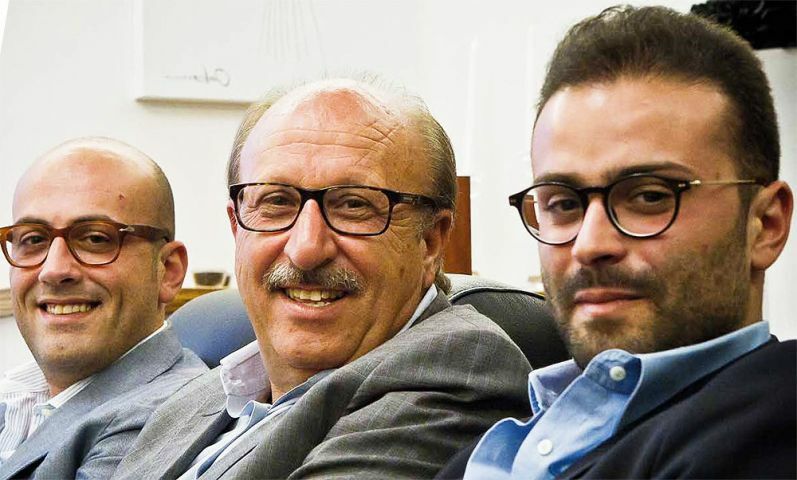 And now, on the 40th anniversary of the founding of the company, with his two sons Giorgio and Giuseppe at his side, at the controls, he has transformed company into a Spa, has also opened branches abroad (Romania and Maghreb), may count 90 employees and a turnover of around 6.2 million euros: "There are few Sicilian companies which can boast of these credentials, much appreciated abroad, as well. How does it go? Ah, yes: time is a gentleman and keeps its promises: all the sacrifices made over these last forty years are now paying us back. I have endured a lot of stress made so much effort, but I have also enjoyed myself immensely. Because I believe that one can enjoy themselves doing the work they have chosen, overcoming the difficulties more easily and call them self fortunate". "Even the crisis of these last few years has been softened and overcome", adds Giorgio. "Decreasing the turnover but maintaining a balanced cash reserve and without working for less".